Yehudah ben Shomeyr (Kris Shoemaker) was raised in a Christian Home and accepted the Messiah Yeshua at the tender age of six, and dedicated his life to full service for Him at age thirteen. From that point on Yehudah has been involved in a multitude of various ministries from Churches and Synagogues to youth, street, camp, jail and nursing home ministries to name a few. He is a graduate of the Free Will Baptist Bible (Welsh) College in Nashville Tennessee and has received his B.A. in Bible and Missions (1996), had his Hatafat Dam Brit (Jewish Conversion) preformed on him in 2004. He was trained under three separate Rabbis and was ordained (Shmicah) as a Nazarene Rabbi in June of 2007 but has since forfeited that ordination, but was then ordained as Rabbi by A.D. International in October of 2010. 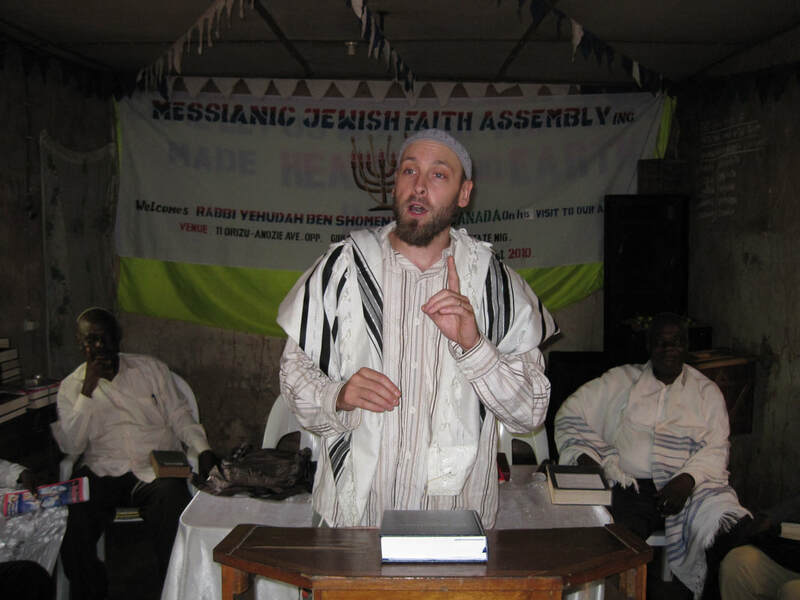 Rabbi Yehudah is a missionary and international speaker. He is also President and Founder of A.D. International. Rabbi Yehudah’s unique calling is to reach out to the 3 major monotheistic religions on the world, Judaism, Christianity and Islam. Both Rabbi Yehudah and his wife discovered their Jewish Roots later in life and they made their return to Nazarene Judaism fairly early on in their marriage. Rabbi Yehudah is available for speaking engagements and seminars regarding the Jewish Faith, Holidays and Customs, the Hebraic Roots of the Christian Faith, Torah Studies and much more. Through the written and spoken word and through any and all available appropriate forum and or medium to show Gentiles the necessity of accepting and embracing the Written Torah and for Jews to accept and embrace the Living Torah (Yeshua Ha Moshiach). To show both parties that the two manifestations of God’s Word has but one essence in ADONAI and both are fully divine. To expose and shed the paganism, demonic doctrine and contrary man made traditions and dogma in both modern day Judaism, Christianity, Islam and all world religions and to bring all of them back to the belief and practice of the 1st century Jewish and Gentile believers in Yeshua Messiah in an acceptable 21st century way. To educate, edify, equip and send out others to perpetuate the universal and specific missions’ statements. 1Cor. 9:19-23 For though I be free from all [men], yet have I made myself servant unto all, that I might gain the more. And unto the Jews I became as a Jew, that I might gain the Jews; to them that are under the law, as under the law, that I might gain them that are under the law; To them that are without law, as without law, (being not without law to God, but under the law to Christ,) that I might gain them that are without law To the weak became I as weak, that I might gain the weak: I am made all things to all [men], that I might by all means save some. And this I do for the gospel's sake, that I might be partaker thereof with [you]. Fear God, and keep his commandments (Ecc. 12:13) to do justly, and to love mercy, and to walk humbly with my God (Micah 6:8) and to walk in the footsteps of Messiah Yeshua by walking and following Him in the Torah (Matt. 5:16-20). I would consider it an honor and a great privilege to come and speak to your congregation and share about God’s Word from a Jewish perspective, the Hebraic Roots of the Early Church and the Christian Faith, Jewish customs and the Biblical Festivals such as Passover and Feast of Tabernacles. If you are interested in having me come to your congregation for a speaking engagement or seminar please feel free to contact me to discuss dates and arrangements. Most Pastors of any given denomination are in that denomination because they sincerely believe the statement of faith and doctrines of that particular denomination. And if he were honest he would tell you he'd like to see other believers come to the conclusions and beliefs he has come to. But at the same time if one were working together in conjunction with other denominations on an endeavor there would be a mutual respect of boundaries and stripes of the other denominations he is working with. In like manner I too would like for everyone to come around to my way of thinking and belief system but if I were working with or ministering to another denomination I would never test or push doctrinal boundaries or try to change ones denominational or doctrinal stripes. Though a Rabbi, Teacher and missionary I have no subversive or ulterior motives when working with or invited to minister to other Christian or Messianic denominations. Mutual respect and agreeing to disagree agreeably in love is what it is all about. 1996: Graduate of Free Will Baptist Bible College, Nashville TN. 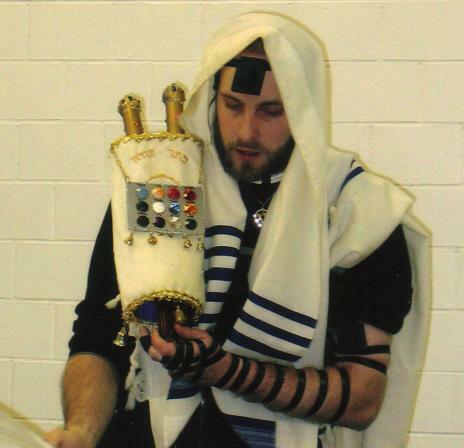 2001- 2003: Trained under Messianic Rabbi Jonathan Bass and acted as Chazzan and his assistant for the Messianic congregation of El Elohei Yisrael of Goodlettsville, TN. The congregation is currently disbanded. 2004-2006: Trained under Nazarene Rabbi Daniel Harris and served as Chazzan for K’hilat Beyt Avraham in Fredericktown, OH. Oct. 2010: Rabbinical Ordination by the Board A.D. International (Oct. 17th 2010 - 9th of Cheshvan 5771). 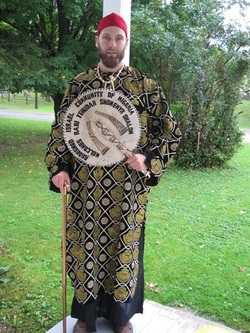 Oct. 2018: Pastor of the Plaster Rock United Baptist Church in Plaster Rock, New Brunswick, Canada. “I am blessed to have witnessed the LORD mature us together, for as iron sharpens iron, so has His Spirit sharpened our countenance through one another; and you do well to listen.” – Joe LaBerge, Arborist and Lay Minister, Nashville, TN. "Words cannot begin to do justice when describing this man, Rabbi Yehudah, and the valuable asset he has been to my spiritual growth. Not only my own personally, but the growth of my entire family. From the very youngest of my children, to my grown young adult children, Rabbi Yehudah has been blessed, through the Rauch HaKodesh (Holy Spirit), with an ability to present Torah in a way that appeals and relates to all. His sincere desire to do the work of our Heavenly Father shines through each and every message, as he courageously stands for truth uncompromised, and brings light to a dying generation. Keep up the good work Rabbi, may God richly bless your efforts." – Devora, Single Mother, Detroit, MI. “I don't think it's a coincidence that… everything happening here in my life has been building to an explosion, of sorts, of thoughts and overwhelming desire to share things I am learning with others. I am reading and studying. I am hungry for G-d's Word in a way that I have never been before. As this has been going on, people in my own 'Messianic Assembly' are asking me things like, how do you know that, where did you learn that, you seem different.... In addition, HaShem has filled me with courage to speak up. Baruch HaShem (Praise His Name) I've had friends BEG me to let them know what I've been studying. I know people who want to set up a Scripture Study in other states, and guess who's behind the 'study'? God's Willing Servant and Friend, Rabbi Yehudah!” – Ruth Anne Lucas, Grandmother, CA.